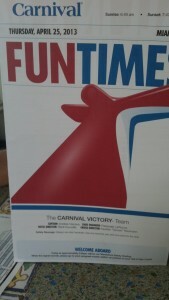 To: College Young Adults going on the cruise. Drink packages…..there are normally at least possible….the ‘drinks’ packages: 1) beer, soda, water (yes you do pay for water on the ship…. Bring a water bottle with you and do refills from the cold water dispensers in the buffet area..free! It would probably be more economical to purchase the “drink special of the day…the kind with little umbrellas” or get a bucket 6-8 pack bucket (someone charges it on their room card and everyone re-imburses that person for the beer ‘they drank’..(do the math) that night before bed!! (amazing how some people have tendencies to forget L DO limit the alcohol….being sick in the tiny little bathroom is NO FUN! You spent $$ to have fun on ship and go on excursions so don’t miss out of the adventures just because you drank too much. 2) Phones… put on AIRPLANE mode unless you want a huge bill…check with your service company for ‘out of country fees’. Text messages will cost you also. SKYPE…If your parents want a daily update……Make sure you are sober when you log-in for visiting ‘mom and dad’! 3) Internet packages are rather expensive….best bet…most ports have a Starbucks or similar store. You can google locations for the ports you will be visiting. 4.) ONE Carry-on ONLY!!! Hey gals only flip-flops, running shoes for fitness room and ONE pair dress shoes….no more! Limit make-up…. Most of the time you will have sunscreen on and an SPF lip gloss, waterproof mascara and eyeliner. 2-3 swimsuits, 1 cover, 2 shorts, 3 tops, sundress, 1 workout outfit, curling iron (if you want). They have hairdryers in rooms. GUYS…(skip makeup)….otherwise same as gals… except 1 dress slack, long sleeve white shirt and tie. Dress jacket if you have one. Dress shoes if you have them. Don’t waste $$ on tux. 5) SUNSCREEN WITH SPF. Most self tanners don’t have this and you will be sorry the next day…. Benedryl pills are handy if sunburn. 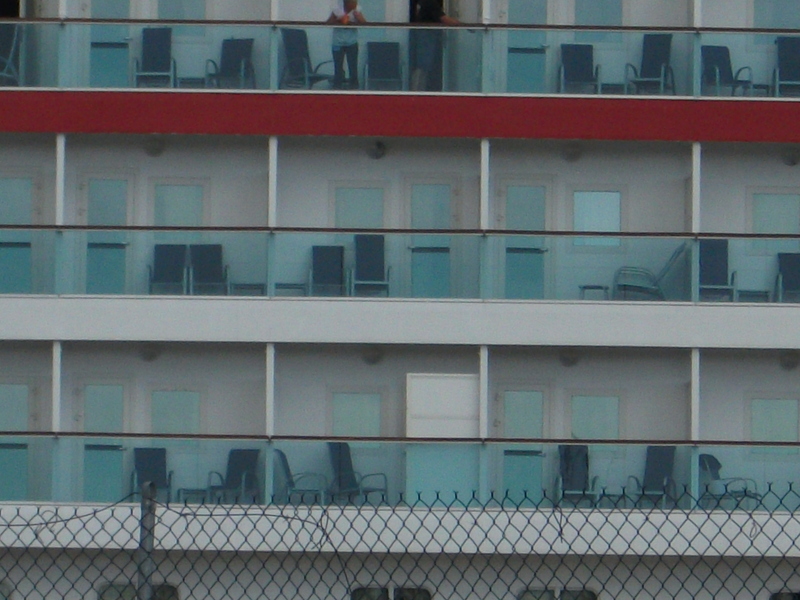 My husband and I have cruised 15 times. Cruising allows us to travel to numerous destinations on one trip. We unpack once and no driving. All our meals are prepared with no cooking. The ship entertainment during the evening is very good, some cruises better than others. Activities are numerous including pool activities, game rooms, computer classes, ship tours or just relaxing with a good book reclining on a lounger. Below are the cruise lines we have sailed on. 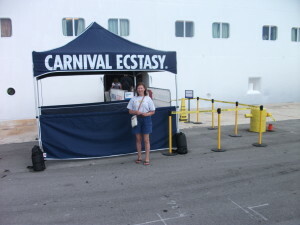 Most of our cruises were 7 days and the European 12-15 days. 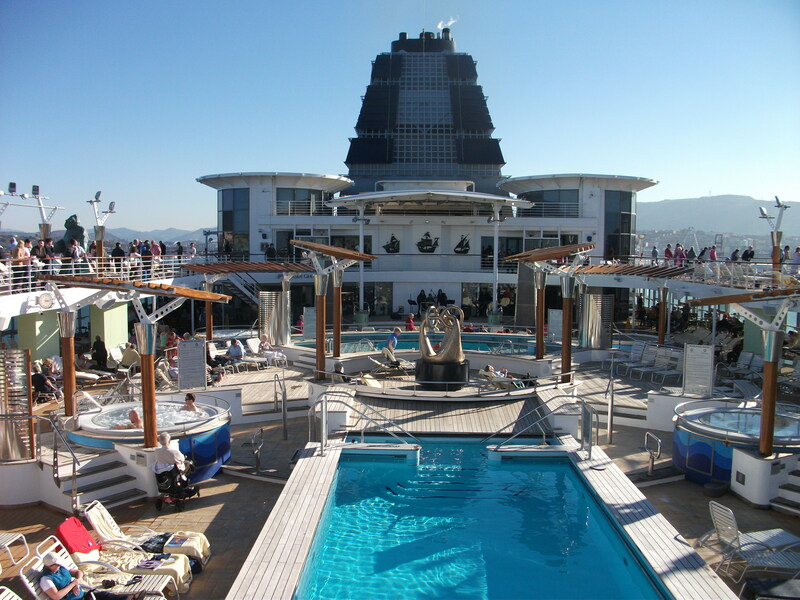 Here are some recommendations I have about cruising. Packing. One suitcase and one carry-on and backpack with camera equipment. 1 dress or suit, dress shoes, 3 shorts, 5 tops, 1 slacks, 2 swimsuits, 1 swimsuit cover, 1 flip-flops, basic make-up, hair products, walking shoes, undergarments, lightweight sweater and rain poncho. Large zip lock bag (adapters for phones, computer, kindle and an 3-4 plugin extension cord). Zip lock bag medium (highlighter, notepad, pens, pencils and paper clips). Zip lock (all medications – keep in your backpack, car keys, passport/visa, small evening purse and crossover purse, credit card(s), cash (small bills). In a plastic flat binder keep travel documents (hotel, cruise papers , suitcase tags, itinerary and copy of travel insurance policy-highly recommended!). Do Not Bring Valuable Jewelry. Prior to leaving home. Go on-line and fill out your ‘document information’. Make copies and bring with you. Leave a copy of your itinerary with a family member or friend. Make a copy of your passport and driver’s license. 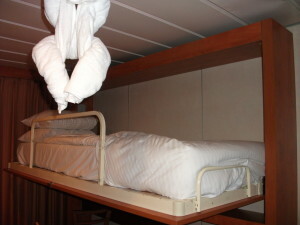 Stateroom. There will be a safe to keep your camera, passport, medications and other necessities in. The bathrooms are small in size and closet space and hangers are limited. There is shelving to place clothing on in the closet. Suitcases are placed under the bed. Inside rooms are very dark so bring a few nightlights. 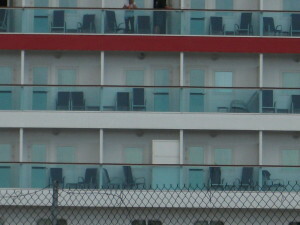 Balcony rooms have more open space, bring a bungee cord so the doors do not slam. There is 24 Hr. room service. Hint- pre-order any in-room breakfasts the evening before. Let your room steward to remove any product in the small refrigerator if you do not plan using them. Then, you can place your carry-on water, and 1 bottle of wine each in there. Anything you need inform your room steward. Dining. You have already selected your dining option when you checked in. There will be Specialty Dinners outside the dining rooms at an additional cost. The beverage packages are available if you consume a wide selection of wines or specialized coffees every day. Hand sanitizers are located throughout the ship especially when entering the buffets and restaurants. Use them to stay healthy. Spa. Every ship has a spa. This is where I ‘invest’ some of my time. I normally purchase the week pass to use the facilities. It is a quiet, serene area for total relaxation. 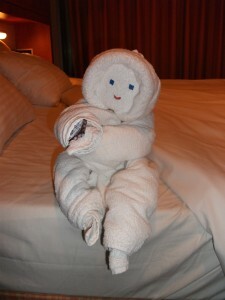 I use the heated thermal recliners, steam room, sauna, and walk in thermal pool. Fruits, juices, tea and water is normally available in the waiting room. The messages and other treatments usually have specials throughout the week. Fitness. The equipment varies on the ships. Classes are available for a fee. There are free health presentations during the day. Proper attire is required. Workout clothes and shoes. Excursions. These can be booked before your cruise. During the cruise, there are morning meetings discussing the tours available on the following day and information regarding shopping. Photo gallery. 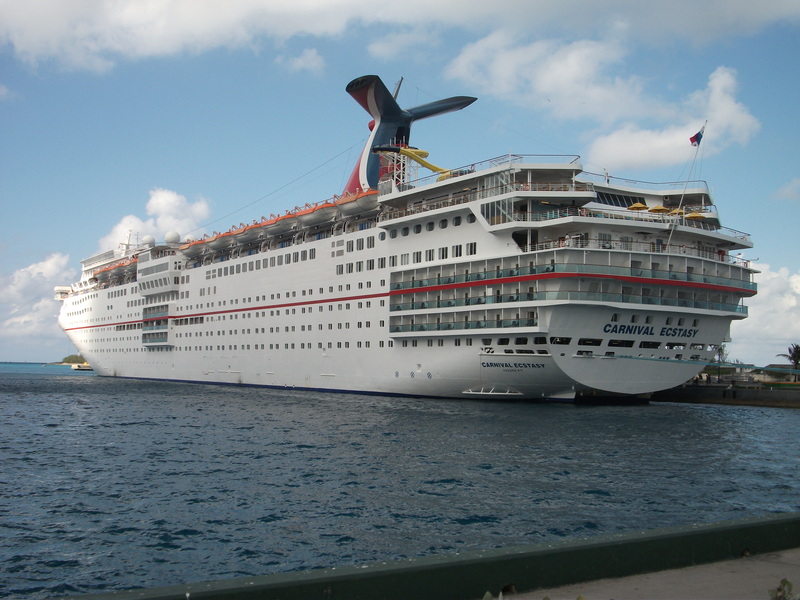 Photos are taken at embarkation, dining, formal nights, activities and at each port. Shopping. Sales are frequent and you will see women flocking to the walkways to select their purchases. Reminds me of Black Friday sales. The shops have clothing and any necessary products you may have left at home and can’t live without. Lounges and bars. Many large sitting rooms and atriums have seating to socialize and have a drink. Pools, Hot tubs and outdoor activities. 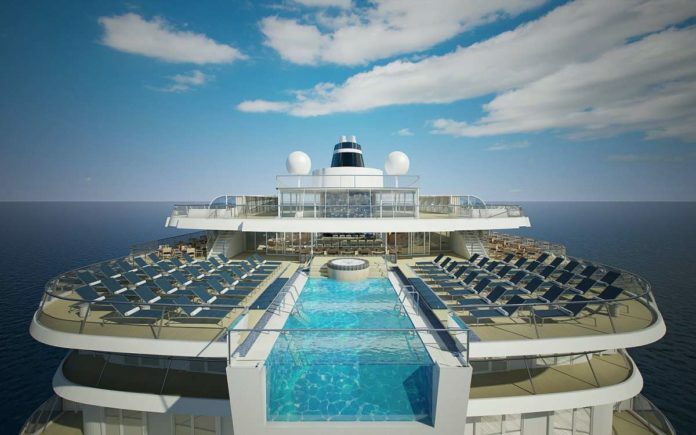 Some cruise ships have a designated area for adults and another for children as well as large water slides, climbing walls, golf, basketball court and chaise loungers for relaxation and poolside activities. 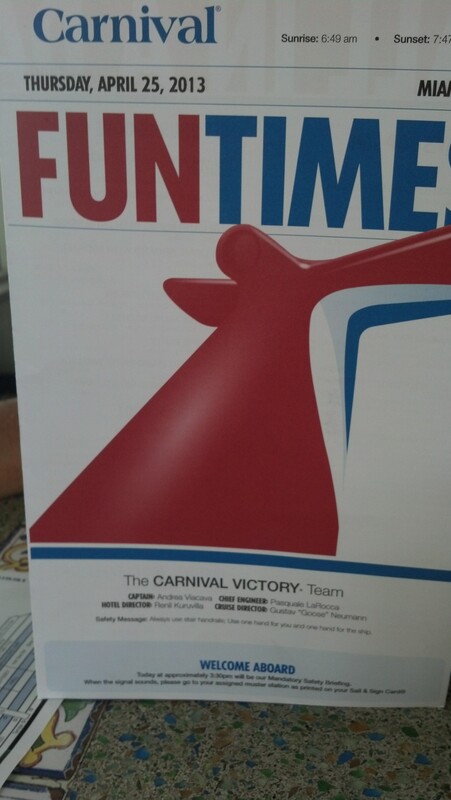 Remember to have FUN…..you are on a CRUISE!!! !